Net66 SEO: Google Penguin 3.0 Launched Last Week, still rolling out now! People in the SEO world are very aware of the Penguin algorithm. The reason being that this was the algorithm that, when updated initially, caused the most uproar we’ve seen from any algorithm update previously. 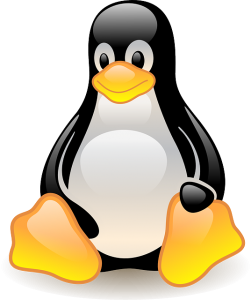 Back in October we informed you that Penguin 3.0 was set to be released within 2014. The weeks passed and on Friday, Google finally announced that they had released the latest version of their link analysing algo. The last couple of times Google updated this algorithm there was fury from all sides of the SEO world. This time however, it seems that Penguin 3.0 is a softer version of 2.0 and 2.1. It’s either that or after the earlier versions Webmasters finally got round to doing some housekeeping on their links. When the algorithm was released on Friday there wasn’t much detail really released with it. Usually when google announces a fresh algorithm they give a bit more info with it. Such as how many queries will be impacted, which languages will be affected etc etc. > The whole of the algorithm hasn’t been released yet and will take a few weeks for it to be complete. > Less than 1% of English language queries will be affected but all other languages could be more or less. > Google have confirmed that the implication of the new algorithm began on Friday. > The update has been specifically termed a “refresh” by Google engineers. > Main losers will be websites with bad link profiles. > Main winners will be websites with good link profiles and profiles that have been cleaned up since the last update of Penguin. So what do you think of the new algorithm?